Accounting and bookkeeping are the key jobs in any business. Accounting is the systemic and complete recording of financial operations in a business. Business bookkeeping is the recording of financial dealings as a part of the accounting process. Small business accounting errors range from minor errors to big accounting and bookkeeping errors which cause grave danger to the business. Accounting problems start with irregular bookkeeping and accounting. This will not give a true picture of the business and no good decisions can be made. 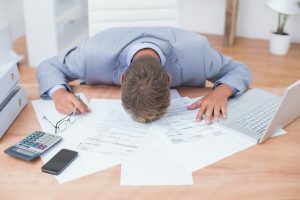 Entrepreneurs/owners often do not realize that common small business accounting errors are a major threat to the growth of their business in the long run. Here are some common accounting errors that actually damage the businesses. Manual work is always the toughest and is at risk for errors. A small accounting error can lead to big damage in businesses. Small and medium-sized businesses should use an appropriate accounting software according to the type of business they run. Cloud accounting is an emerging technique in accounting software and has its benefits in small to medium-sized businesses. Manual accounting is time-consuming and the chances of errors are much higher. While using an accounting software not only diminishes the chances of errors, the software also take much less time for accounting operations. Choosing an appropriate software is an important and challenging step in business according to your needs. You should consider its cost, usability, and extra features when choosing a suitable software for your small business. Bookkeeping and accounting statements must always be kept up to date in any business. Running behind in bookkeeping and submission of entries of the expenses or sales will not produce an up to date picture of the business and allow you to make timely decisions. It can lead to a negative balance if expenses are made but an income statement is not updated. Invoices that have not yet been paid by the company may go unnoticed and it can lead to a bad reputation for a company. It can end terms with your suppliers. Business growth is ceased or significantly reduced. Not producing financial statements monthly is common in small business accounting problems. Business owners combine their personal cash with business expenses. It is of utmost importance to keep the personal finances and the business finances separate. If these two finances are not isolated then it cannot be known what was planned for business and what was consumed personally. The amount of profit that was produced out of the invested capital cannot be assessed properly. A business credit card is operated for personal expenditures during a holiday trip or other payments. Later on, this sum will be funded from the company’s income which is a bad idea. During purchase orders for inventory of the company, procurements are also made for private use. Business owners take it upon themselves to pay small expenses for the business out of pocket as it saves their time. However, these expenses are not listed in the business bookkeeping. The business looks stronger in income when this accounting error is done. While in reality, the business is not that strong. Small to medium-sized businesses get loans at the time of monthly payroll. The income of the business ends up paying back the loans with interests. Sometimes, the debts increase as well as the interest on those debts. Businesses, instead, can get the services of payroll companies to avoid heavy long term loans. Small business accounting errors range from minor errors to big accounting and bookkeeping errors which cause grave danger to the business.Accounting problems start with irregular bookkeeping and not using accounting software. What Is a Paperless Office and How Is It Beneficial For Accounting Sectors?